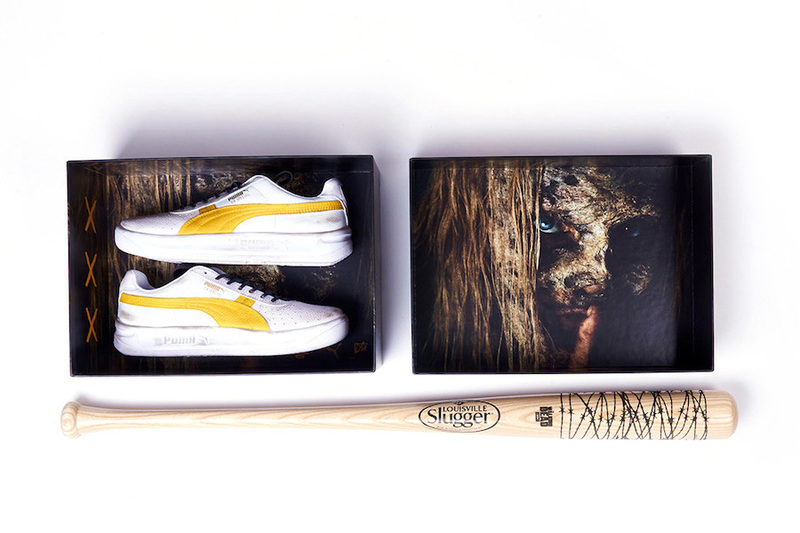 In advance of The Walking Dead‘s season nine finale, the AMC show has unveiled a special-edition collaboration with PUMA. Taking on the GV Special silhouette, the collaboration has been designed by sneaker customizer Alexander-John and is inspired by the Whisperers from The Walking Dead‘s current season. The stand-out feature of the shoe is its hand-painted pre-distressed aesthetic. The Whisperers are also referenced with Alpha’s face appearing on the inside of the collaboration’s packaging. Other details include the all-over printed footbed and a cross motif on the sneaker’s heel. Take a look at The Walking Dead‘s collaboration with PUMA in the gallery above, and expect the GV Special to release exclusively at Foot Locker on March 25. In related news, PUMA has a new “Radiant Venom” release with Overkill. Another clean take on the ’90s model.